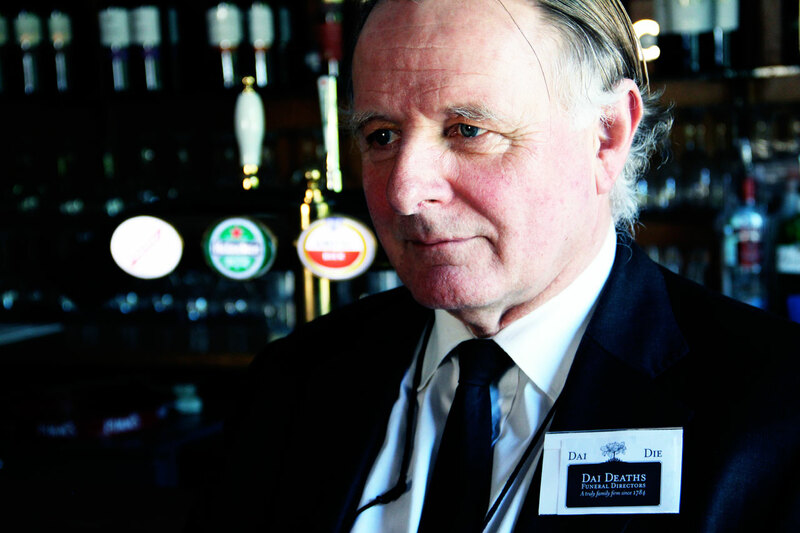 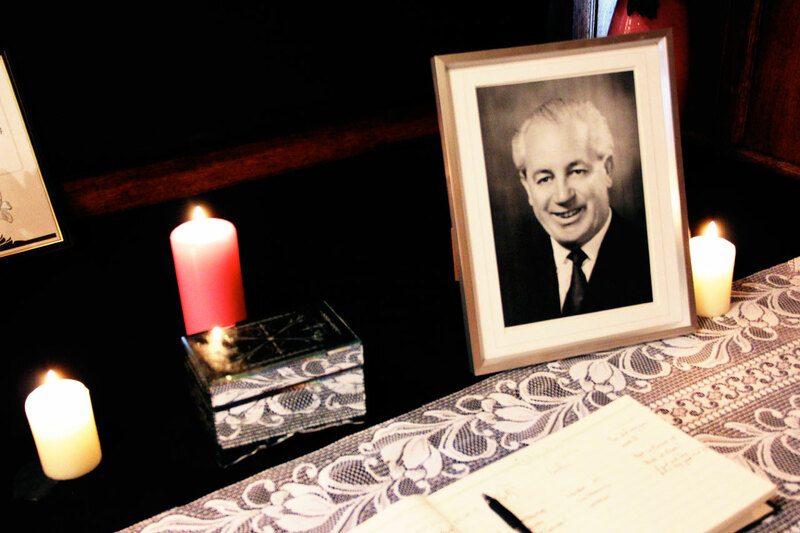 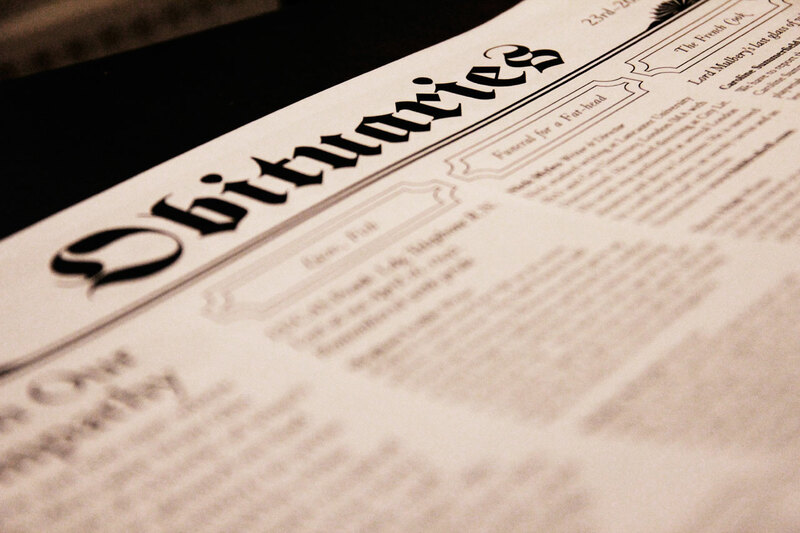 A festival of new writing, inspired by lines from obituaries and performed at a wake. 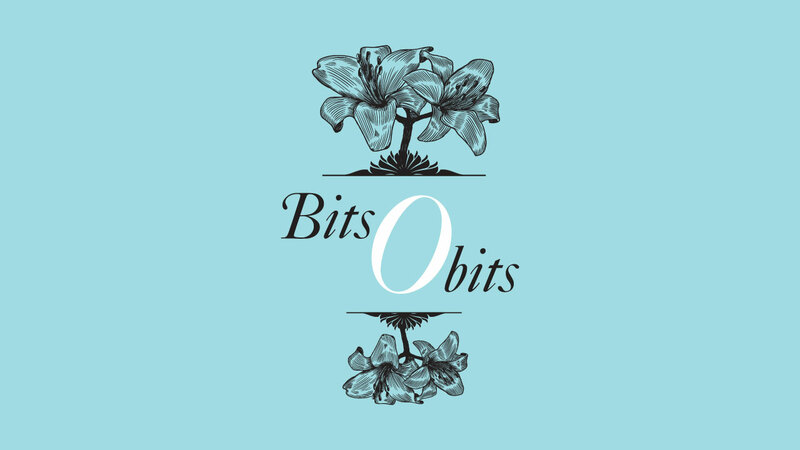 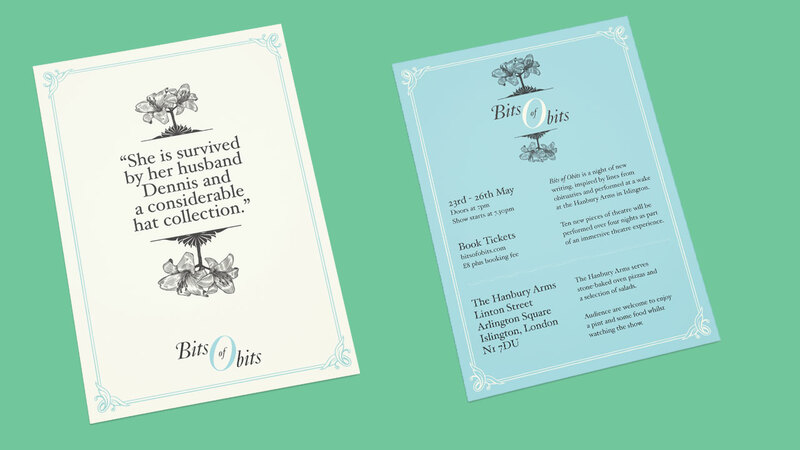 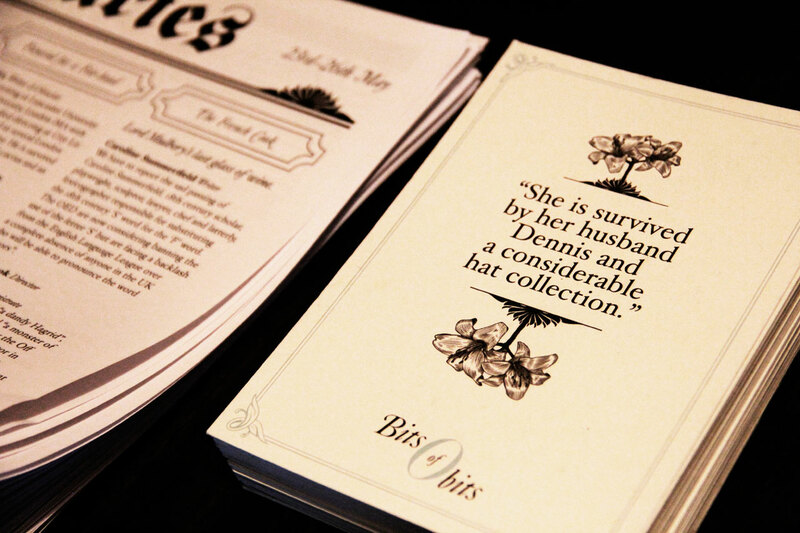 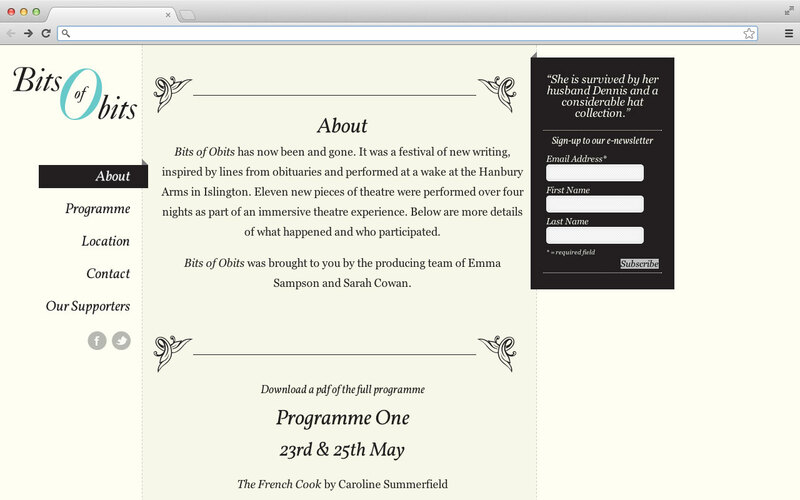 Working with Director & Producer Emma Sampson, I developed a collection of print and online materials to promote the Bits of Obits festival. 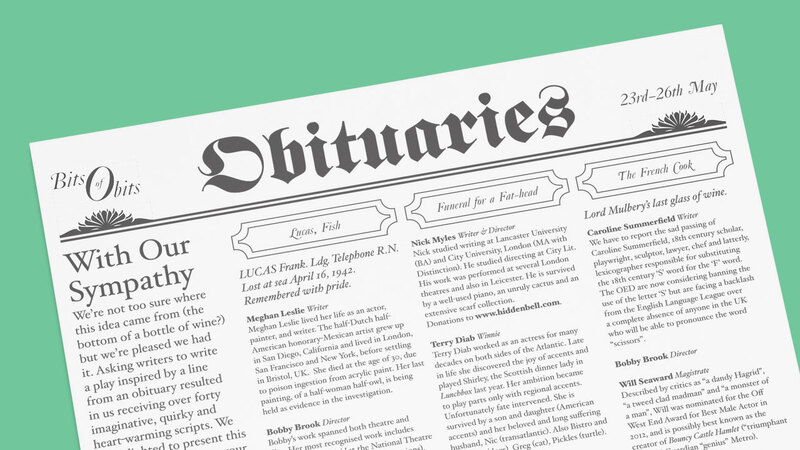 Taking inspiration from a pub wake, we aimed to make all the materials sympathetic to traditional imagery and language used at such gatherings (for example, ‘With our sympathy …’ drove a lot of the communications used to connect with audiences).